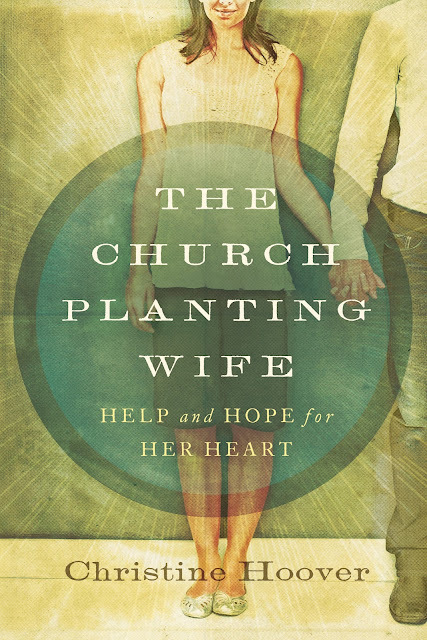 Finally, a book just for church planting wives: The Church Planting Wife: Help and Hope for Heart. Finally, a rich resource is available for the wives of church planters: The Church Planting Wife: Help and Hope for Her Heart. The Church Planting Wife is a practical guide for wives of church planters, who when the faith-filled adventure of church planting turns into fear-filled reality, find themselves asking one question: “What have I gotten myself into?” The book speaks to her greatest internal struggles—sacrifice, uncertainty, loneliness, fear, stress, and discouragement—and offers her guidance, encouragement, and hope. Each chapter addresses an internal struggle common to church planting wives, offers biblical wisdom and practical strategies for combating those struggles, and shares anecdotes from seasoned church planting wives, including Lauren Chandler, Jennifer Carter, Brandi Wilson, Amanda Jones, Ginger Vassar, Yvette Mason, and more. Church planting is difficult work, but it is also a positive, rewarding, faith-filled adventure. This resource will aide church planting wives at every twist and turn of the journey. Church planting is not an endeavor pursued in isolation. Husbands cannot succeed in ministry without their wives and vice versa. I am delighted Christine has put together this helpful resource to encourage church planting wives. With all the church planting we see today, we often overlook the calling and the burden that is placed on the woman behind the man. Christine Hoover's vivid story-telling of the struggles and joys of being a church planter's wife is beautifully weaved into God's truth for women who find themselves under the difficult task of ministering to the man who ministers to everyone else. Church planter wives, you will feel that Christine Hoover has read your journals. She is on your journey and is able to verbalize church planting skillfully and with penetrating honesty. This is a must read book. You have found the mentor you have longed for. Ministry is both a challenge and a blessing. The demands of responsibility can eat away the joy of changed lives. This is especially true in the heart of a church planting wife, but it doesn’t have to be. We have known Christine long before she had the job description of Church Planting Wife. In the past and present, we have seen her faith shine! In these pages she will help your faith shine as well. You are on an exciting journey; let Christine walk with you as you embrace your role as a church planting wife. --Gregg and Kelly Matte, Pastor and wife of Houston’s First Baptist Church, Founder of Breakaway Ministries at Texas A&M, Author of I AM changes who I am. Christine's real life approach to ministry makes her contagious. She honestly shares the ups and downs of church planting while offering encouragement that provides hope. The Church Planting Wife is a handbook for ladies who are beginning this journey as well as seasoned church planting wives. --Brandi Wilson, wife of Pete, who is pastor of Cross Point Church in Nashville, TN. Brandi is the co-author of Leading and Loving It. Thank you for writing this book. I mean that sincerely. I haven't been able to read more than a chapter at a time because each one leaves me with things to take before the Lord - sins exposed, hopes expressed, wisdom to let sink into my heart. I truly believe that your transparency is going to help many Pastors wives out there. This is a MUCH needed resource. I am not a church planting wife and I have been so ministered to! So convicting, easy-to-read, and challenging to my walk. I think most of what you have to share is applicable to any wife supporting her husband in ministry. I am relieved to have not just read a list of ways I could be performing better, and I am better for this time of heart examination.